which one of these numbers is the 194 168 bulb? im trying to replace the 194 168 with a blue led. EDIT: one more question.....is 2 the same bulb as 4?? Last edited by dand2392; 09-12-2009 at 09:42 PM. 2 and 4 are both 194 bulbs. 1 is a 3157 i think. Blue will be, well too blue. I have white leds and they are pushing it. Look at th eone on the bottom. The head lights are SliverStar Ultras. Funny enough, I just played with this same stuff last night. I bought some LEDs to replace the light bulbs they used in my e-Bay projector's halo rings and since I had extra, I figured I'd throw them in behind the amber reflector too (#4 in the picture.) 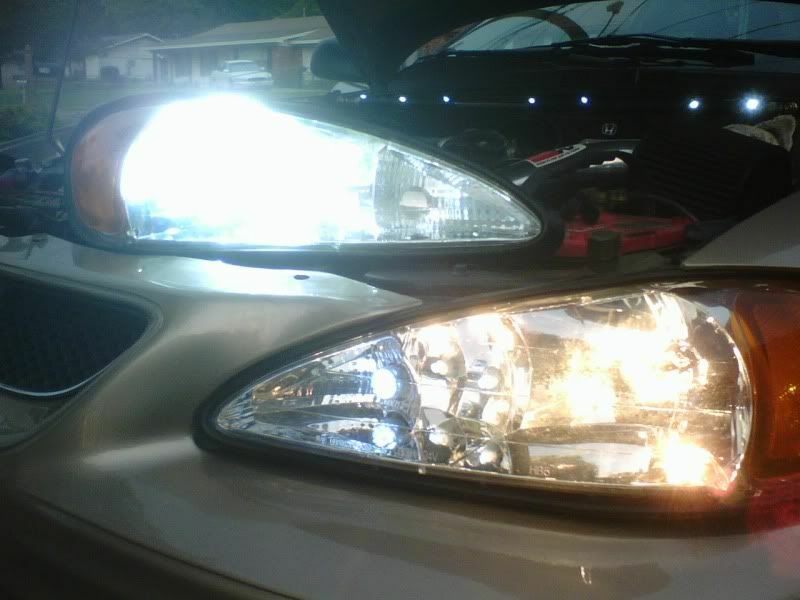 The only problem is that when the headlights were on, the polarity of the reflector bulb changes. Basically, I could either have a turn signal when the headlights were on or when they were off but not both. I'm not sure if this is because of the type of LED I used (it was a 194 replacement with the resistor built in) but It wasn't worth the trouble of changing it since it is hidden behind the reflector anyway. A normal filament bulb doesn't care about polarity but the LEDs do. The halo LEDs work fine either way and they connected directly into the other 194 bulb slot so you should be able to replace that with no problems. As rocketfast123 said though, it may be brighter than you really want and could look strange if the LED is brighter than your normal headlights. Just to add to this quick, and I know this is basic and a dumb question but it honestly has escaped my brain. If you replace all of your bulbs, with bulbs that contain LED's, do you still have to alter your electrical system for the faster blink rate, or can you just install all LED bulbs and go? 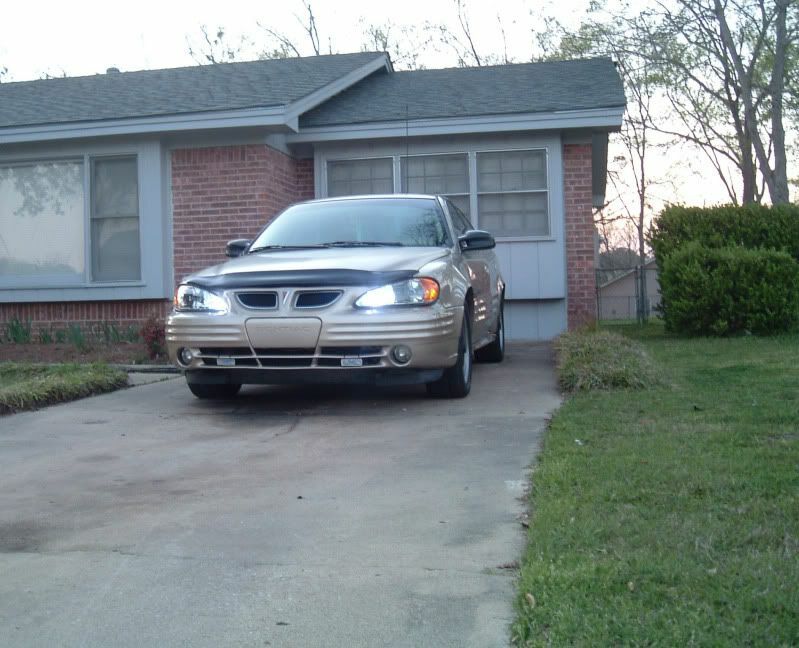 You have to get LED bulbs with resistors for the Turn signals otherwise you will get a fast blink. The Turn signal systems detects less resistance with an LED bulb and thinks one is burned out. 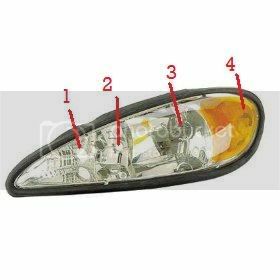 I believe there is a how to an LED turn signals. ^yeap, or put a resistor on the wire for that bulb. 194 do not need resistors. Only the 3157(s) need a resistor. If you replace all turn lights with leds you need 4 resistors. Is it possible to buy LED bulbs with resistors built into them by chance? i got a white led in my #2^ and they look blue at night. They get all the attention a need, you can't tell how bright they are until you get bout 20ft on them.